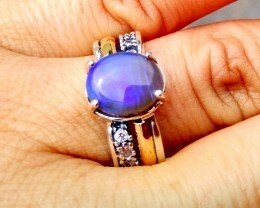 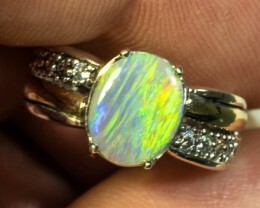 CRYSTAL OPAL TWO TONE 925 STERLING SILVER RING WITH SOLID 9K GOLD AND CUBIC ZIRCONS. 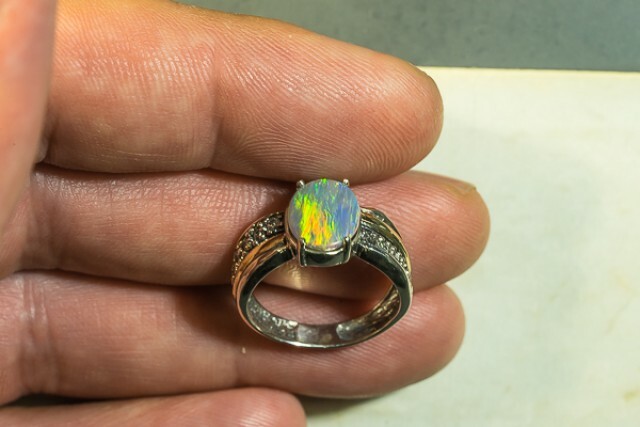 This ring is more beautiful than it appears on the images! 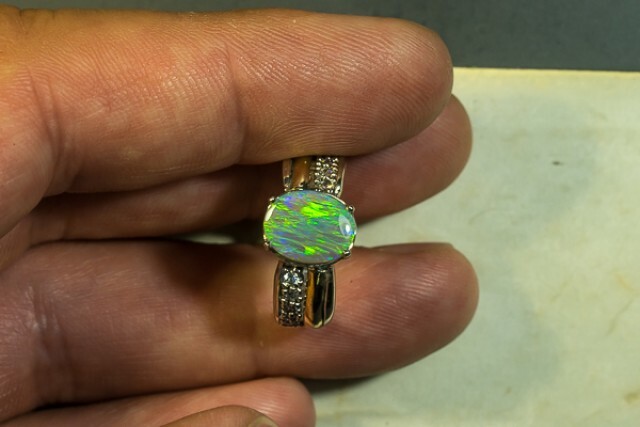 Stunning green and blue colored Solid Crystal Opal from Lightning Ridge, Australia set into a Sterling Silver Two Tone ring with Solid 9K Gold sheets (Not gold plated)! 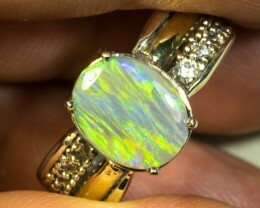 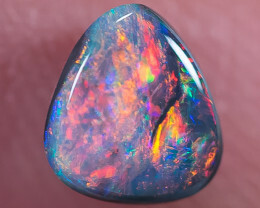 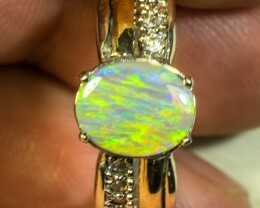 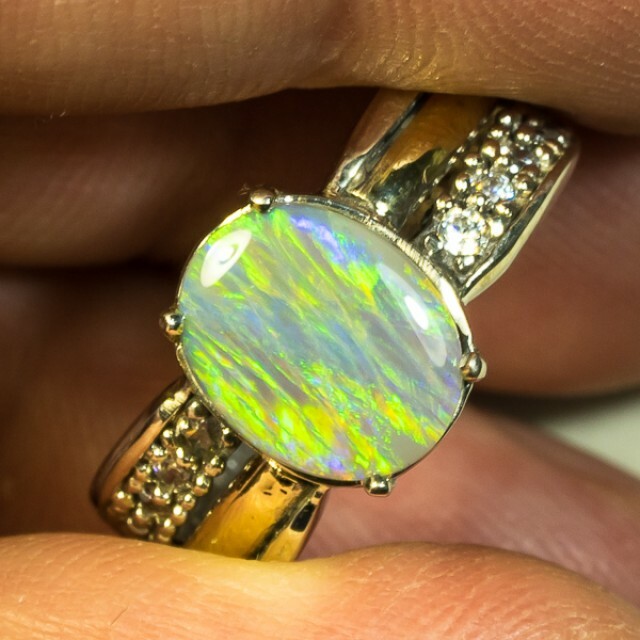 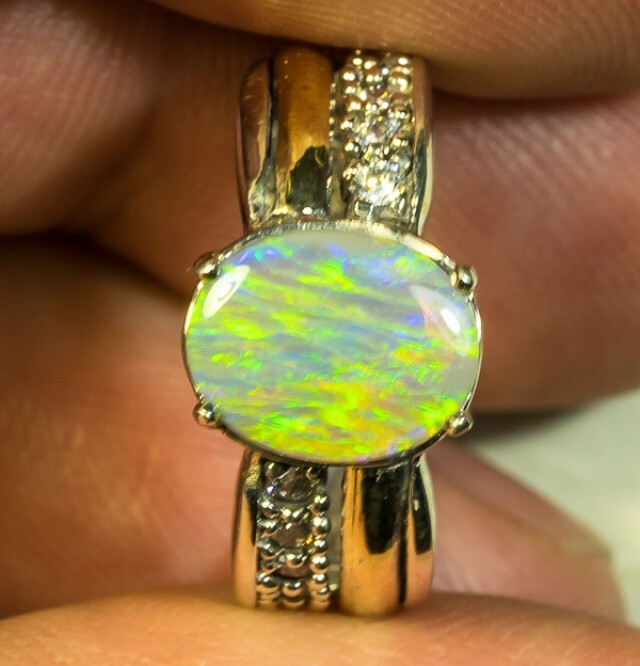 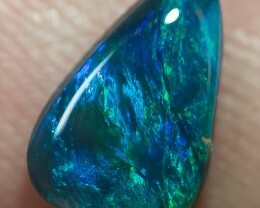 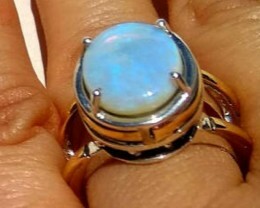 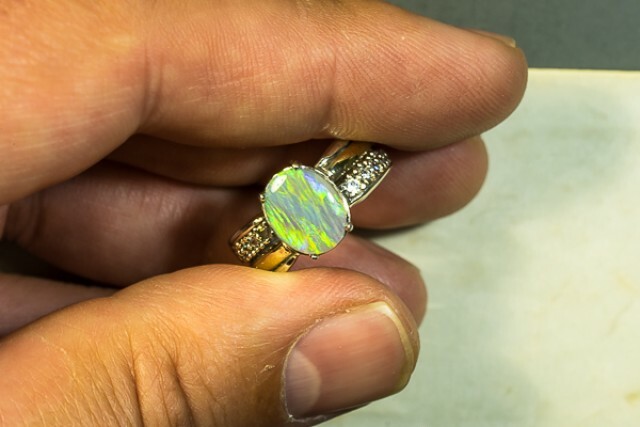 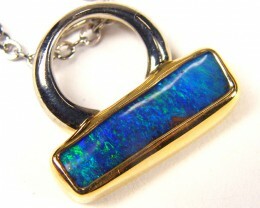 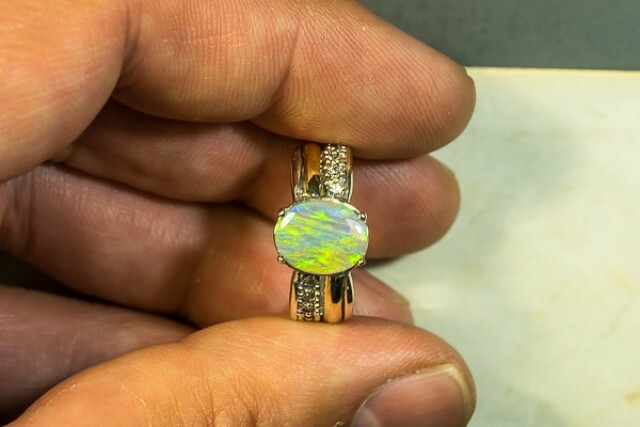 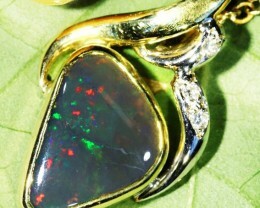 The opal weighs 1.81cts and has a fantastic fire flash pattern. 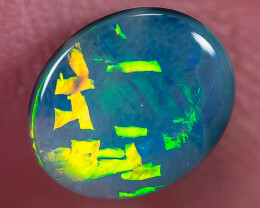 The opal just lights up with fantastic colors! 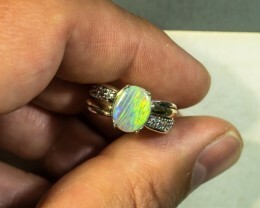 4.5 out of 5 in brightness, very bright! 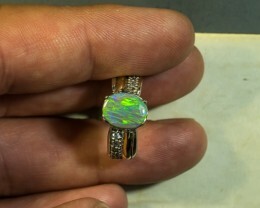 It’s a light stone N7 in body tone! 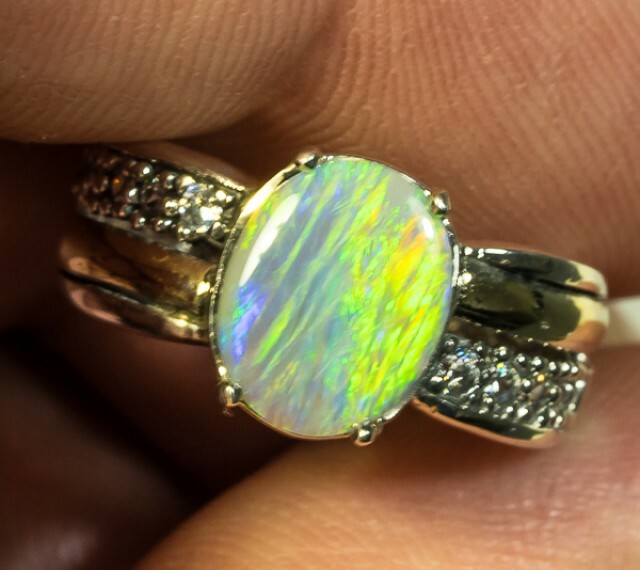 The ring is made from 925 Sterling silver and sheets of 9k Solid Gold, it contains small cubic zircons, and weighs 3.67 grams. 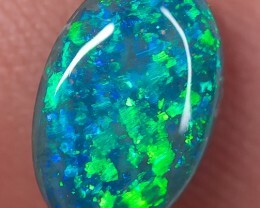 Body tone is N7 Light (Translucent). 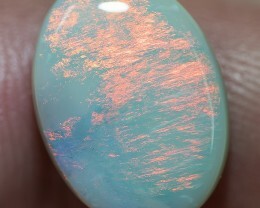 Brightness is 4.5 out of 5. 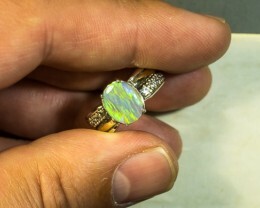 The size of the stone is 10.2 x 8.1 mm. 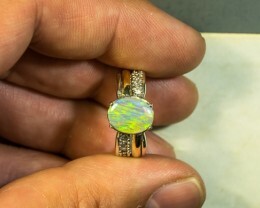 Thickness of the stone is 3 mm. 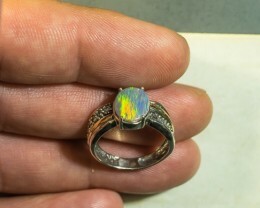 Slight dome. 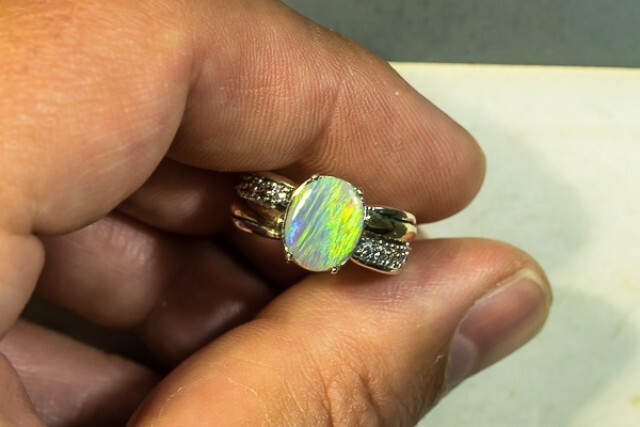 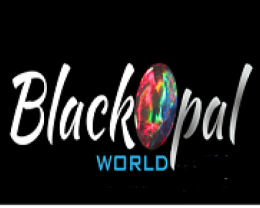 The weight of the stone is 1.81 ct.
Don’t miss out on this truly beautiful solid semi-black opal two tone Sterling Silver ring with 9K Gold!